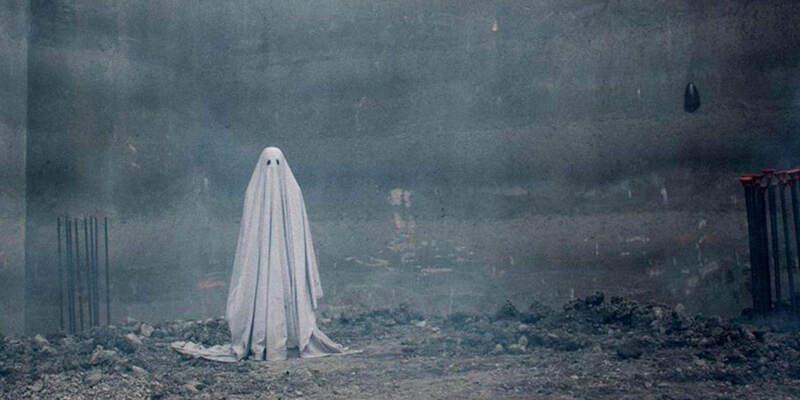 A Ghost Story is my favourite film of the past few years and maybe ever. If you haven’t seen it I’ll lay it out for you: a man dies in a car accident, leaving behind his partner. He becomes a ghost (literally just him under a white sheet with eyeholes) and remains in the house they lived in as his grasp of time slowly, steadily slips. It is the most simply beautiful little movie. It is heartbreakingly sad and profoundly touching. It is a film of quiet, sombre reflection punctuated by moments of loud, yearning connection between people. There are endless ways to talk about the film. First, we’ll talk instead about why it’s so damn interesting. Number 2: it has the simplest, most effective dramatic catharsis of any film. Period. I won’t go into detail. If you haven’t seen the film I don’t want to risk spoiling that perfect, devastating moment at the end of the film, but at the same time I want to convince you to watch it. It’s wonderful. 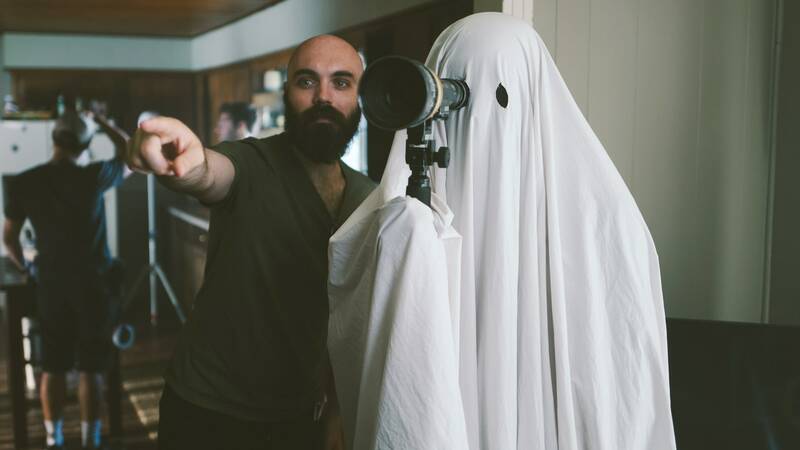 A Ghost Story is a film that could very easily have become self-indulgent pontification. But it isn’t, at all. Not even a hint of it. And this is because the story, the drive of our central character and his arc, is faultless. It is simple, clear, beautiful and one hundred percent something we are able to empathise with. This is the salient point I think. His is the most human and understandable of motivations. We have the physical object, a simple macguffin, but one which represents and works as allegory for the entire emotional journey. And the entire emotional journey is told without a word. And this is where we come back to point number 1: we follow this wordless, emotional journey so easily, and because of this, we are free to instil meaning with language in whatever way comes to us naturally. There are these rare works of art talked about, where your reaction to it can be used to describe you as a person. I don’t quite think that can be true, but if it is, there is no work of art more ready and able to show you yourself than David Lowery’s understated masterpiece. So, in an eﬀort to talk about films more passionately, urgently, clearly, let me talk you through my own reaction to the film. Let me show you myself. I’ll talk first about its wonderful formal aspects. Its cinematography is sparse and clean. Despite a boxed-in aspect ratio (1.33:1) each space we’re in feels open. It feels lived, and never claustrophobic. Shots are deep, frames-within-frames are commonly used, to enhance the feeling of being stuck in a place. Sometimes the shots are straight out of the horror genre. Slow tracks forward, as if something will be revealed or a fright is coming. But it seldom is. Often, it’s simply illustrating the notion of being watched. Pulling us into the slow steady pace of watching and observing life at its simplest. More on that soon. What’s interesting too, is the idea of in-between places, often called interstices. The feeling of dislocation or not belonging because the space you are in - an elevator, a hotel, a new city, an airport - is in between the normal spaces people inhabit. The Ghost inhabits a singular, lived-in, space. One that doesn’t shift or change position. However, it is the temporal aspect of this he is in-between. Instead of being dislocated by space, it is time that separates him from the things he finds connection with. Upon first passing away, his partner stands with his body in the mortuary for a short time. She pulls the sheet back over him and leaves. We wait, for maybe 3 full minutes until the ghost rises up, taking the sheet with him. We can’t help but wonder what would have happened if he’d risen while she was there. The problem continues and time becomes an elusive force that The Ghost can’t seem to get a handle on. At points, it almost stops still. Often this is at the simplest of moments. In a daringly edited scene, Rooney Mara’s character eats an entire chocolate pie in a single take. She is grieving, she sits down and in her numbness tries to fill some sort of void. But I’m going to stop trying to explain grief with words, I don’t believe it can be done. The scene stretches from absurd to profound. It is mundanity given meaning. Grief given explanation, in a way dialogue and language simply can’t. It lasts an entire 10% of the film’s runtime. It is polarising too, either for you or not. Either is ok. These moments of stopped time are often the simplest ones. They are normal life, nothing special but all are about connection or the loss of it. In the most intensely emotional scene of the film, Rooney Mara listens to her partner’s song. Intercut with her past listen to it, she ends up feeling closer to him after his death than when she was listening to it during his life. It’s heartbreaking but also beautiful. It’s something I’ll repeat later in this article, but to drive it home; these moments are made beautiful and impactful and important because they are temporary. That is why we must treasure them when they exist. With these pauses in time, in which we find meaning, we are also cast adrift as time loses its rigidity and predictability. This often happens when the ghost becomes concerned with place instead of people. Taken by some detail of the house, the people inhabiting it slip past as he loses his connection with them. Time speeds up to incomprehensible speed, but in the most eﬀectively understated way, either without cut or with a continuity edit that makes it seem inevitable, and entirely natural for the ghost. It’s intensely sad to watch. I think cinema is the greatest medium for communicating this, too. Andrei Tarkovsky described the art of filmmaking as ‘sculpting in time,’ and all the best films do this. A Ghost Story has mastered this, using time to create the emotional journey and make it all the more poignant. Time is the in-between space, the purgatory The Ghost inhabits, his conﬂict zone and his protective circle all at once. Somewhere he shouldn’t be if he wants peace, but somewhere he wants to be to stay connected. As he loses that connection, he realises the film’s overarching lesson, it’s statement, it’s philosophy. That everything must and will end, but as the moments pass we must experience them and let them go, to preserve their beauty. To me, this is a film about our connection to people and to places. About our legacy and what we leave behind when we’re gone. It’s about the ripple effects of memory and thought that stretch backwards and forwards across time. I believe, in my own way, that it is a film that affirms life and rejects wholeheartedly any nihilistic philosophy - the idea that our existence here is meaningless. So let’s talk about that for a second. As time progresses and the film starts bickering forwards, we halt suddenly during a party where a man, the Prognosticator, waxes lyrically about the pointlessness of life. It’s an on-the-nose, pretentious rant, and compared to the rest of the film, much too clear and pointed to fit properly. He talks about humans attempts to leave some memory of themselves, to leave a legacy in an attempt to live on in some way. He continues on, to talk about how our art and our creations and our bodies and everything eventually fades, as the heat death of the universe occurs. It’s a depressing thought. Lowery himself has stated that it’s a concept he was struggling with at the time. If taken at it’s base level, literally and representative of the philosophy of the ﬁlm, then it’s a childish scene that spells everything out for us, insulting in its obviousness and preachy context. But I don’t think of it at that level, for a couple of reasons. At the narrative level, The Ghost reacts in anger to the speech, causing the lightbulb to bicker with his rage - he’s shown to affect the material world when feeling strong emotions - as he obviously disagrees vehemently with this. His existence alone (at this point in the film) is in direct opposition to that sort of nihilism. For another reason too, do I think of the film as disagreeing with the point of the speech. And that’s because of the existence of the film itself. The very fact Lowery wrote, directed, edited this piece is enough to tell us that he doesn’t really believe it’s pointless to create, or at the least that he can’t believe it. The film spends most of its time showing us the various attempts to live on, to leave part of ourselves in the places we inhabit. In one scene, a Pioneer’s daughter leaves a small note under a rock, humming the same melody the man uses in his song (I Get Overwhelmed - Dark Rooms). In the next shot she is dead, and in the following ones she rots and becomes part of the earth. So, does her attempt to leave part of herself at that place work? Is there a point? Does it matter? Yes. Yes, it does. It matters because someone witnessed it. Because it brought her comfort and because that tune, that humming melody continues for hundreds of years into her future, circling back to that place again as the man writes his song. The Prognosticator seemed to think that because we can’t leave behind anything forever, with ‘forever’ being the operative word, that it doesn’t mean anything. But he’s wrong. Nothing lasts forever, but our connection with others and communication between each other does have meaning, I think directly because of its transiency. The Ghost eventually discovers his purpose, comes to some sort of understanding of why he is there and upon reaching that at the end of the film, his story comes to an end, giving closure. But just because his story ends, and will fade with time doesn’t render it meaningless. Audiences will continue to watch the film. Until one day when it is never watched again. Until it is never remembered. But it had an effect, on us. Here. Now. That’s the meaning and point that we can take from it. We can alter the experiences of those around us. Alter them for the better. So, why not?